The Royal Australian Mint are on the road again with a travelling roadshow. Visiting Melbourne and sites in Tasmania in May the roadshow will then continue through New South Wales in June. The first leg of the journey visits Melbourne CBD, the Port Arthur historical site, Hobart, Launceston and Devonport. The second leg visits Wagga Wagga, Dubbo, Parramatta, Sydney CBD and Wollongong. For more detailed information see The Australian Numismatic Calendar. Visitors to these locations will have the opportunity to strike the “Australia” counterstamp onto the 2018 Ratbags and Rascals dollar coin -the coin that acknowledges the contributions of convicts to Australia’s history, heritage and folklore. 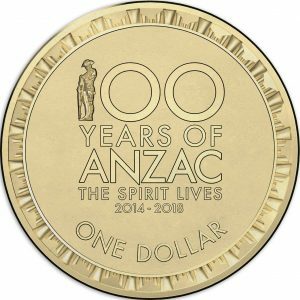 The Mint will be setting up pop-up shops in each location with the mobile coin press especially for striking the counterstamp onto this coin design by Tony Dean. 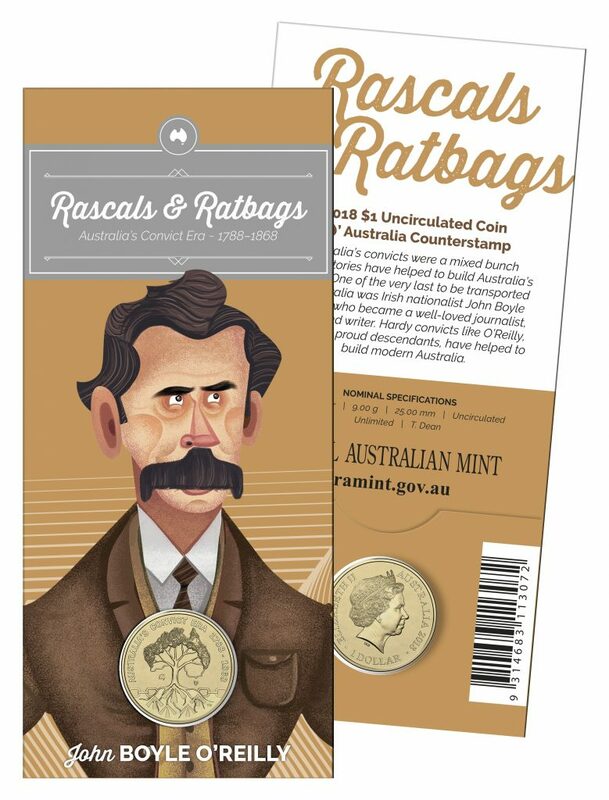 The theme of ratbags and rascals tells special stories of Australia’s convicts, some that were rascals and some that were ratbags but each contributing to our history. 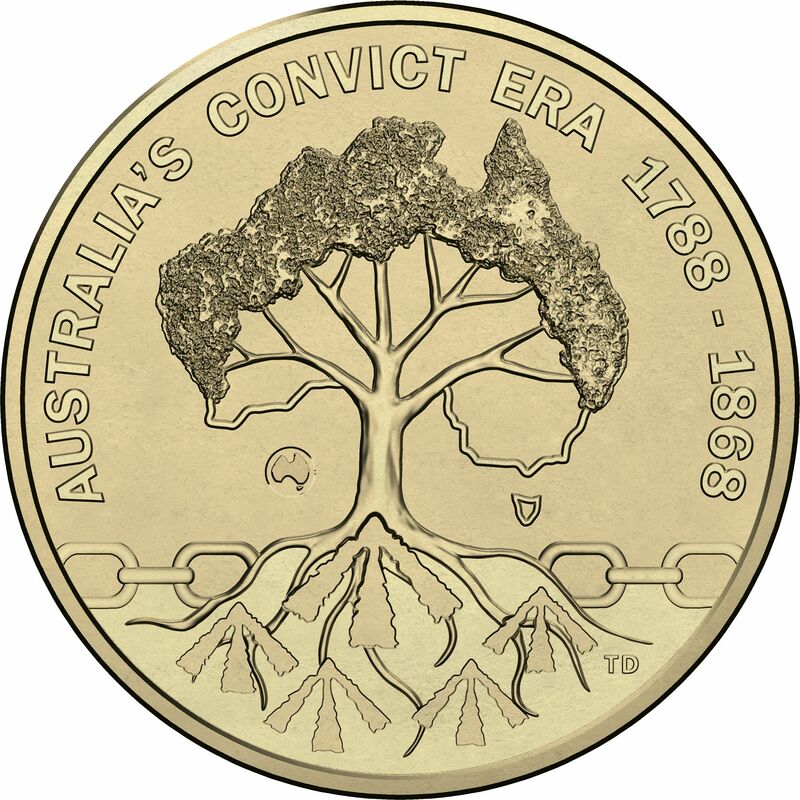 This roadshow is the only way to obtain the commemorative coin with this “Australia” counterstamp. At each location the Mint will also be offering coin swaps of the 2018 100 years of ANZAC dollar (10 pack for $10), the Eternal Flame coloured $2 coin (5 pack for $10) and standard circulating designs in sachets by denomination (50c $10, 20c $4, 10c $4, 5c $2). The 50c and 20c, 10c, 5c bags available only in $10 lots -the 20c, 10c and 5c not available individually. There are also limits of 3 purchases per line up. Latest non-circulating legal tender (NCLT) Mint products will also be available to purchase at the roadshows. Expect to see this national tour travel to Queensland and Western Australia later in the year.